👉🏽 What Are Free Radicals? For such a simple question, you’d think there would be a simple answer, right? 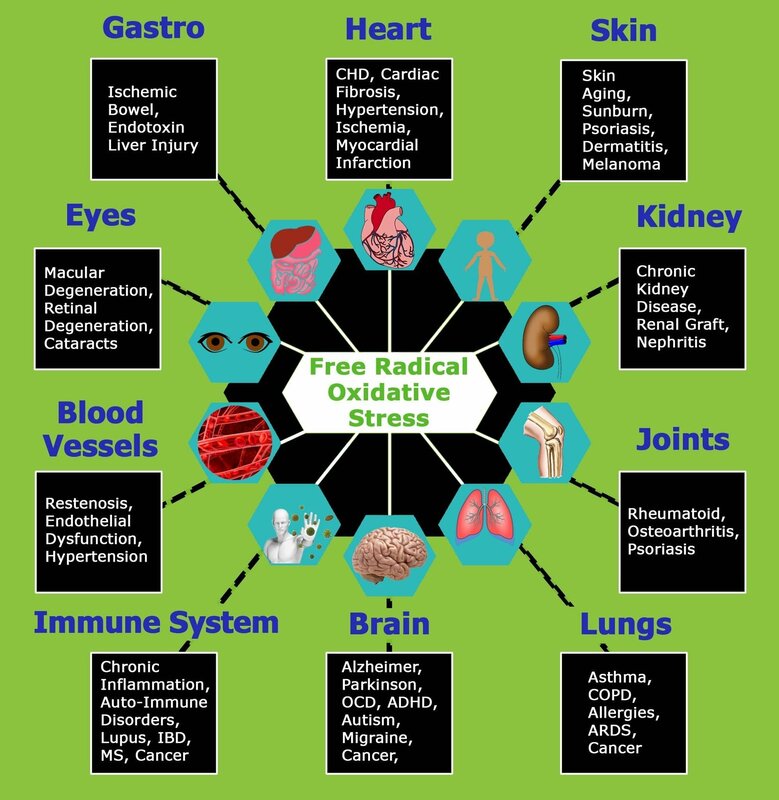 *The entire formation of free radicals, and overall oxidative stress, disrupts and damages our cells! 🌟 Cells are the building blocks of our body, we’re made up of TRILLIONS of cells! ☄️ So where do free radicals come from? Additional substances include; fried foods, alcohol, tobacco smoke, pesticides and air pollutants. 🛑 The catch? No matter what we eat, drink or otherwise consume, healthy or not, our bodies are facing oxidative stress! E V E R Y O N E!